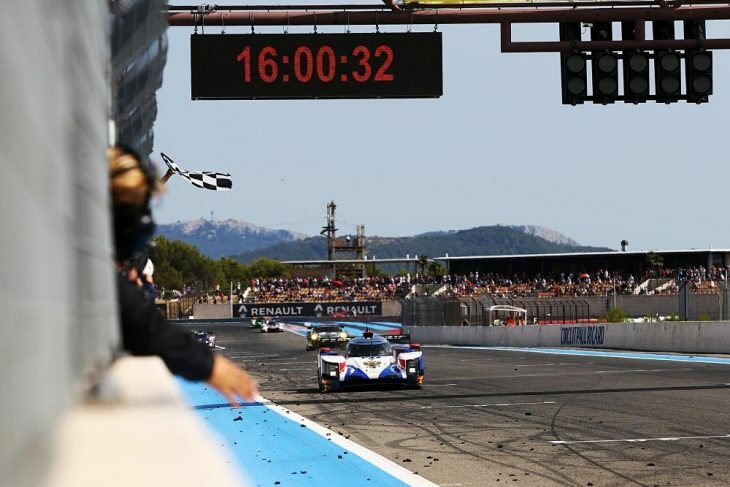 SMP Racing earned a historic victory at the 2017 running of the 4 Hours of Le Castellet, scoring the first ever win for the Dallara P217, after a faultless performance from Matevos Issakyan and Egor Orudzhev which saw them cross the line a minute and a half ahead of the competition. It was also SMP Racing’s first ever LMP2 victory and in only the team’s second race with the Dallara. The Russian duo took the lead after the first set of stops, and didn’t look back, leading almost the entire race from there on. “It feels amazing, we did everything right, we didn’t make any mistakes. That’s the result we were aiming for, really happy we got it,” said a delighted Isaakyan. Finishing second was the #22 G-Drive Racing by DragonSpeed ORECA 07, the trio of Memo Rojas, Léo Roussel and Nic Minassian fighting hard to the end, but unable to catch the leaders in the second half of the race. It was an important result for the G-Drive Racing crew, by finishing in front of the United Autosports Ligier, they’ve extended their championship lead to seven points. Roussel in particular starred in the car, which suffered from poor tyre degradation throughout the race, spending over half of the race behind the wheel. The United Autosports JS P217 limited the damage to its title challenge though, by finishing third and on the podium. Will Owen, Hugo de Sadeleer and Filipe Albuquerque had to spend much of the race recovering from a costly spin on Lap 1 after being tagged by the Villorba Corsa Dallara which lost them over 30 seconds. All three drivers drove well, and managed to collectively climb the order from dead last in LMP2 to claim silverware. “It destroyed our race really,” added Albuquerque. Just off the podium was the #39 GRAFF ORECA, which looked set to take a podium place but faded late in the race, Paul Petit losing third to a hard-charging Albuquerque in the final hour. Fifth was the #23 Panis Barthez Ligier JS P217 which looked good during the opening hours but a couple of spins proved costly towards the end of the race. 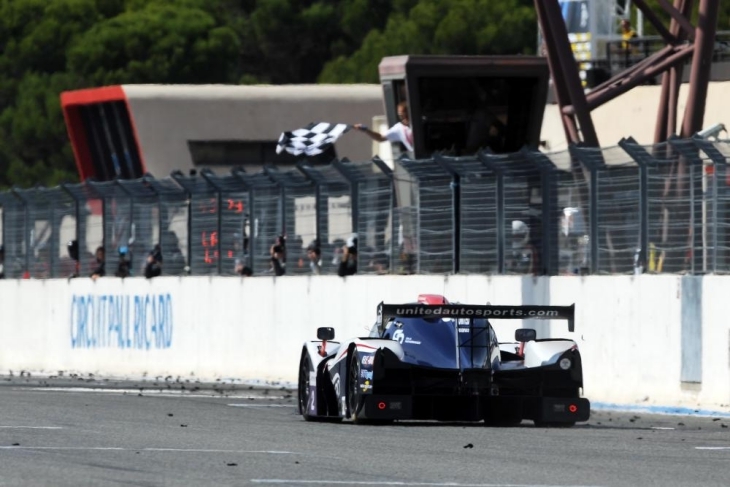 In LMP3, a fight through the field from Sean Rayhall secured himself and John Falb their second win of the season in the #2 United Autosports Ligier. Falb had to fend off a late charge from the Inter Europol Ligier of Martin Hippe, but got the job done. Rayhall started down the order, and slipped to seventh in class in the opening hour, but before handing over to Falb, had climbed the order and taken the lead, the American slaloming through the field. “It might have been the best stint of my career,” he said upon reflection. ““We went for a low downforce set-up and that proved to be a big mistake. I couldn’t believe it when the team told me I was in the lead. For most of Falb’s stint to the flag it was about damage limitation to secure the duo another victory. “They told me that the gap was down to six seconds with 15 minutes left, that I should just go for it!” he told DSC. The fight for the lead at the end could well have played into Inter Europe’s favour, the Polish team and drivers Hippe and Jakob Smiechowski having a trouble-free and pacey run in a race where most of the other teams made errors and faltered. Hippe’s charge to the front was interrupted twice by FCY periods for stranded LMP3 cars though, which left the German with little time to close the gap before the end of the race. It was nevertheless an incredible performance from the Polish team, scoring its best ever ELMS finish, and first podium. The final place on the rostrum went to the #18 M. Racing YMR Ligier, which was in the mix throughout, finishing just 26 seconds off the lead by the end of the race. Fourth was taken by the the #11 EuroInternational Ligier, ahead of the #16 Panis Barthez JS P3 in fifth. The results mean that the #2 United Ligier edges further to winning the title, with a 12-point advantage over the #18 Yvan Muller squad ahead of the round at Spa. In GTE, the #55 Spirit of Race Ferrari 488 trio of Aaron Scott, Matt Griffin and Duncan Cameron took a comfortable win from Pole, ahead of the #90 TF Sport Aston Martin and #66 JMW Ferrari. “We had a great car today, our job was pretty easy,” said Scott. “We managed the tyres all day, but in truth the real story here is our Race Engineer Luca. He was spot on at every point. He told us what we needed to do and we all went out to deliver that. “We couldn’t have hoped for any better than this,” added Cameron. At the start of the race the Proton Competition Porsche of Christian Reid snatched the lead, but Aaron Scott fought back at the final turn a few laps later. From then on it was a perfect performance from the Red Bull Ring winners, Cameron and Scott handing the car over to Griffin for the final stint with a lead of over a minute. Second eventually was taken by the TF Sport Aston Martin which struggled for pace for most of the race after damage to the front upset the car’s aero. 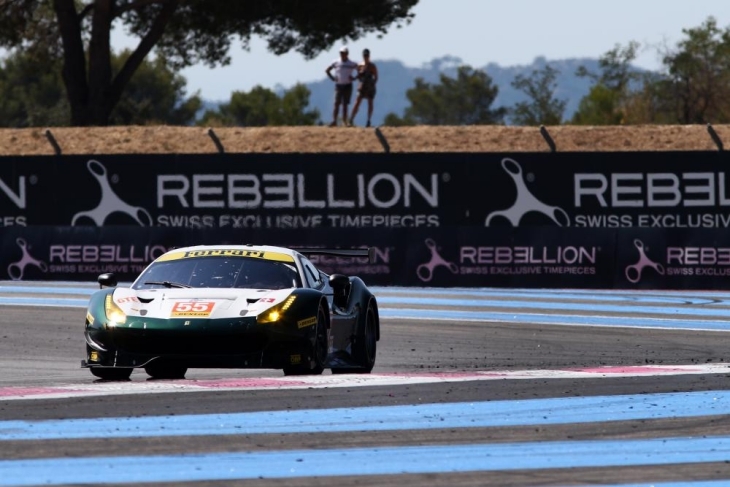 Nicki Thiim, Salih Yoluc and Euan Hankey recovered though, and took second from JMW in the closing stages of the race after the team’s Ferrari had to serve an extra 10 seconds at its final stop due to a pit stop infringement. As a result, JMW Motorsport, and drivers Jody Fannin, Rob Smith and Johnny Cocker had to settle for third place, after running second for most of the final two hours. The sister Spirit of Race car finished up the day fourth, ahead of the Beechdean AMR Vantage which like the TF Sport car, carried damage to a dive-plane for much of the race after Andrew Howard made contact with a prototype. Next up for the ELMS runners is the 4 Hours of Spa-Francorchamps next month.